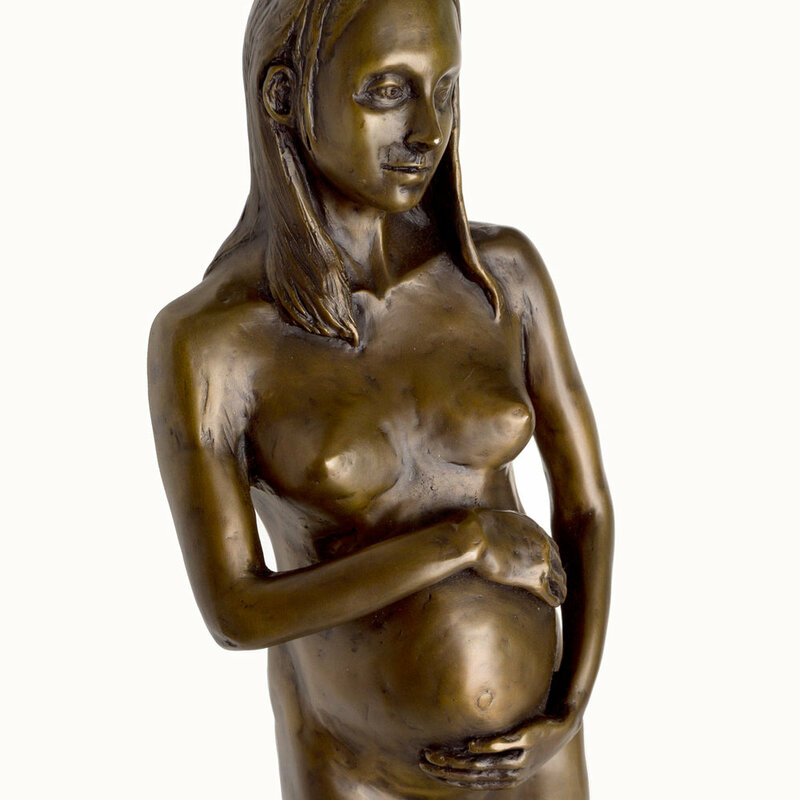 Lady-in Waiting, a standing sculpture of a young woman at six months pregnant, was Marianne's first commission. 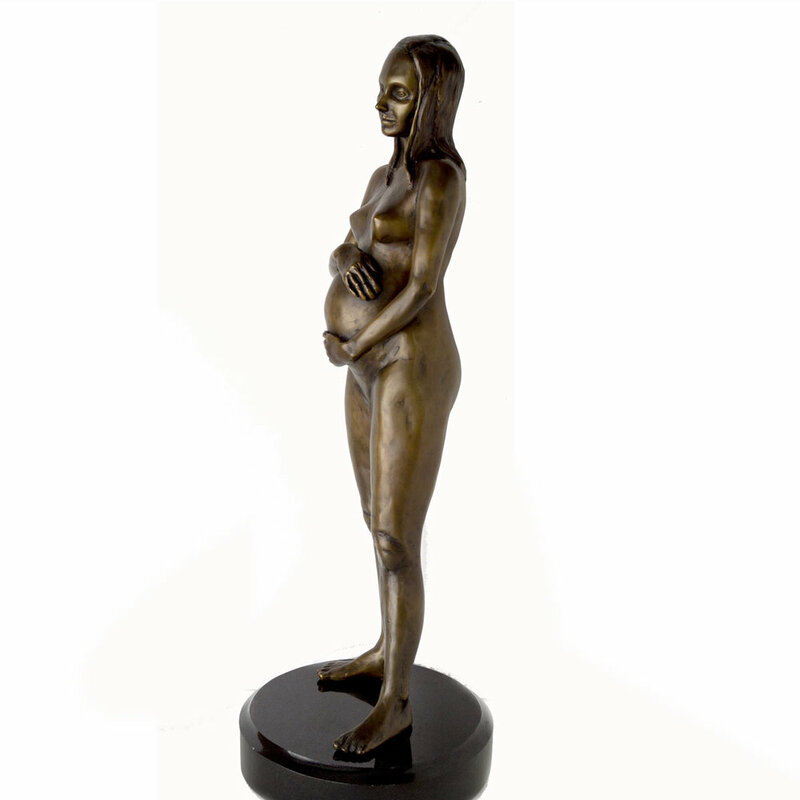 Young painting collectors of hers were expecting their first child and wanted a sculpture to celebrate this important event. Marianne traveled to their home and took photographs in the round, and measurements (for accurate scale in the final piece.) She delivered the work six months later when the baby girl (also a red-head) was three months old.